The Santiago Bernabéu witnessed a true massacre this Sunday morning, as Real Madrid ran over Granada with an impressive 9-1 scoreline. For the first time in his career, Cristiano Ronaldo scored 5 goals in a single game! The international break seems to have had a very positive effect inside the Real Madrid reign , who basically shredded Granada into pieces this Sunday morning at the Santiago Bernabéu. Carlo Ancelotti's men showed no mercy at all and dictated their own laws in a memorable 9-1 win that will certainly last in the fans' memories for quite a while. Cristiano Ronaldo led the Merengues' charge against a very poor Granada side and got to score 5 goals that sent him back to the top of the Pichichi rankings. Gareth Bale and Benzema with a double scored the remaining goals that helped securing the 3 points and putting more pressure on Barcelona. No one is exactly sure what Granada did to deserve the full force of Real Madrid today, but the fans at the Bernabéu were treated to a goal fest this Easter Sunday. Madrid romped to a 9-1 victory in James Rodriguez's first game back, putting the sword to the struggling Nazaríes from Andalusia. Cristiano Ronaldo was the star of the show, netting a record five goals in a single game for the first time in his career. The rest of the BBC contributed as well, with both Bale and Benzema getting on the scoresheet. Bale opened the scoring in the 25th minute, after picking up a through ball from Toni Kroos and easily rounding former Barcelona third string goalkeeper Oier Olazábal, before finishing into an empty net. Soon after, Ronaldo's hattrick would come in the span of 8 minutes. The Portuguese superstar capitalized repeatedly on what was some poor defending by Granada and, in some cases, even poorer goalkeeping by Olazábal. With goals in the 30th, 36th and 38th minutes, the game was essentially over by halftime, as Granada waved the white flag. But Real Madrid wouldn't let up in the second and would score another three goals in an amazing 4-minute spell. Karim Benzema finished off James Rodriguez's cross in the 52nd. 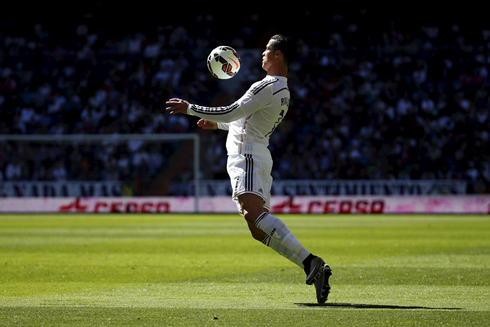 Shortly after, Ronaldo's header in the 54th would give him his 4th goal of the day and Madrid's 6th of the game. A couple minutes later, Benzema would score again, this time from a low shot. Granada would finally get one back in the 74th, after an Ibanez break through on goal, but only 7 minutes later they would give it back after an unfortunate own goal by Mainz. Ronaldo would finally get the 5th goal he'd been looking forward to all day near the end. A well-placed header from a Modric freekick capped what was a fantastic day at the office for Madrid. It was a busy day for the scorekeepers, as Ancelotti's men put on an early show for the fans. They won't all be this easy, but after the recent dip in form, it was a much needed confidence booster as Real Madrid attempt to claw their way back into title contention. 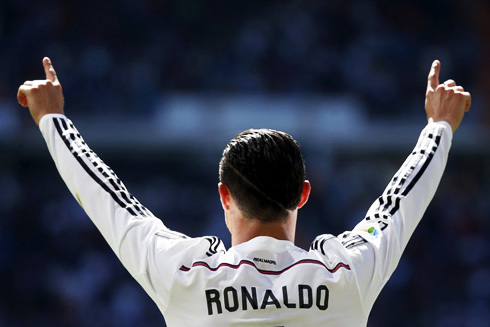 Cristiano Ronaldo next game will be in La Liga against Rayo Vallecano, on the 8th of April of 2015. You can watch Juventus live stream, Rayo Vallecano vs Real Madrid, Celta Vigo vs Barcelona, Crystal Palace vs Manchester City, Aston Villa vs QPR, and Borussia Dortmund vs Hoffenheim, all matches provided from our live streams section.